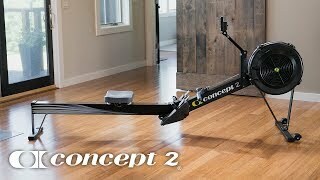 The Concept 2 Model D is, hands down, the most popular rowing machine in the world, today. To put things in perspective, we collated reviews from every retailer we found. Out of 317 user reviews from Argos, Decathlon, Powerhouse Fitness, & Rogue, everyone rated it 5 out of 5. In total, we found 588 online user reviews. This incredible rowing machine scored a jaw-dropping 4.97 out of 5, with only 6 people giving it less than 5 stars. That’s an unprecedented 98.8% of users giving it full marks. 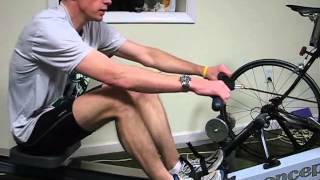 Regarded as the “standard” for indoor training, competitive rowers swear by this immense machine. However, this product is not designed strictly for professionals and Olympic-level athletes: with its compact size, and price point, it is a fantastic alternative to exercise bikes for your home gym. The PM5 is an easy to use monitor. Providing accurate data for every row, the backlit display is USB compatible, so you can even store your workout data. The monitor is also adjustable and allows wireless heart rate monitoring. Measure time, distance, stroke rate, calories, watts, and splits. With its ANT+ wireless connectivity and Bluetooth, you can connect the Concept 2 Rower to many heart rate belts, apps, and other fitness devices. The free Concept2 ErgData app will help track workouts and sync with the Concept2 Online Logbook. Third party apps can also be used to provide additional features to help you maximise your efforts and reach your training goals. One of the things we already mentioned was the compact size. Featuring a quick-release frame lock mechanism, the machine easily separates into two pieces for storage. The front foot also includes caster wheels, allowing the fully-assembled machine to be moved with ease. Accommodating a wide range of shoe sizes, the adjustable footrests allow for quick and easy positioning. Featuring a 10-degree bend, the ergonomic handle allows rowing with a natural hand and arm position. The spiral damper allows users to easily adjust the airflow to the 4.3kg flywheel. This means you can change the stroke to suit your preferred “feel”. This all comes together to minimise noise while maximising smoothness. 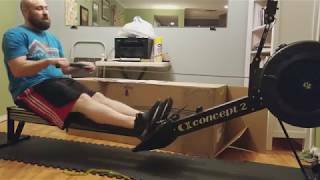 Within 20 – 30 minutes, the Concept2 Rower can be assembled. It only has 8 screws, along with easy to understand instructions. Oiling the chain on fitness equipment can be a nuisance – especially for those who are not great at maintaining their purchases. 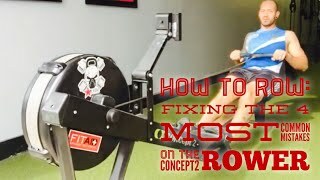 The nickel plating on the Concept2 rowing machine removes this chore. Not only does it reduce the regularity of oiling, but also retains a smooth ride. Whether you’re training at a gym, in a hotel or a boathouse, the Concept 2 Rower is built to last. Renowned for their durability and construction, the Concept 2 range of rowing machines can withstand rigorous use with minimal maintenance. Warranty: For home and light commercial use this product comes with a 5-year frame warranty and 2 years on the Performance Monitor and moving parts. 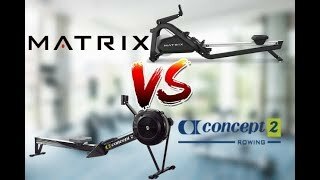 If you’re looking for the Concept 2 best price, then you’re in the right place. As the UK’s leading fitness price comparison site, Fitness Savvy looks at prices from top retailers including Amazon, Decathlon, Argos, Fitness Superstore and many more. With prices changing daily, you should be sure to check back with Fitness Savvy before you buy a Concept 2 Rowing machine. If you want to save even more on your purchase, then check out the deals and offers below.